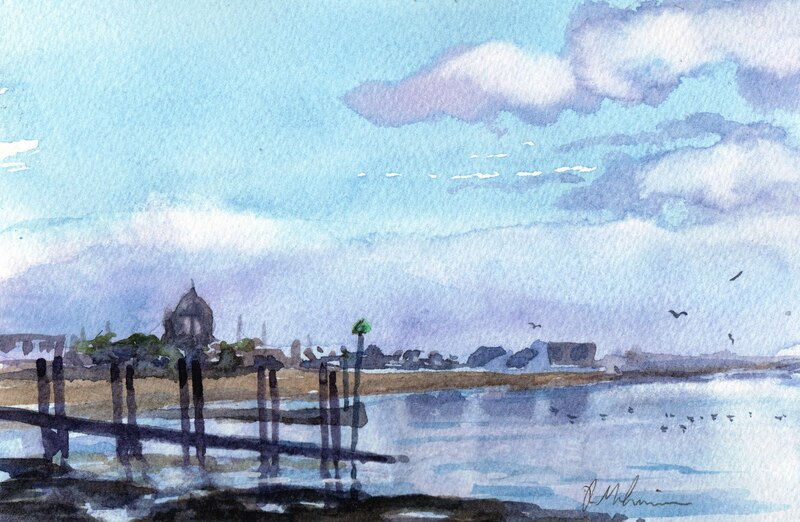 This is another Southend on Sea painting, looking over the water towards the Kursaal. Don't know why it has such a funny name, I remember it before it was 'done up' for a while it looked like it might go, but is now a leisure attraction with bowling alley, restaurants and bars. Watercolor on 140 lb paper 9" x 6"
I have used a few new methods to do clouds recently, this is one of them. Relying on adding color of the cloud shadow before lifting the white ares with brush and tissue.